Common Heroes is not a Hollywood rendition of heroic death, but rather an opportunity to explore with everyday people the pain, sorrow, anger, and even the humor when death touches us through those we love. What does it feel like to see your life within the framework of a life-threatening illness? How do people cope? This book offers intimate stories from 38 individuals who may be facing their own deaths in the near future. They share their personal experiences, their concerns, fears, anger, insights, and even humor when death touches their lives. 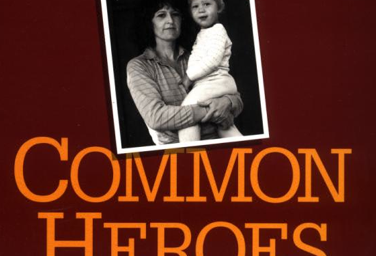 From teenager to octogenarian, the people profiled in Common Heroes face cancer, AIDS, cystic fibrosis, and Lou Gehrig’s disease. Their personal stories are filled with honesty and courage, offering insight for everyone into the final stage of life, dying. Eric Blau is both a physician and a professional photographer. He is an associate clinical professor of medicine at the University of California School of Medicine, San Diego. His photographs are exhibited nationally. He is also the author of Stories of Adoption: Loss and Reunion (NewSage Press 1993).